The following excerpt is from the “Remote Monitoring Best Practice Guide” published by Australia’s Pacific Data Systems. Download the full Guide here. 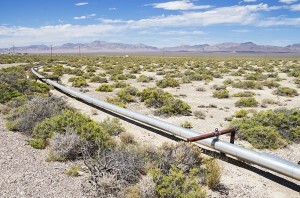 Collecting data from remote locations can be expensive, inconvenient, unreliable and inaccurate. Yet, for many companies involved in mining, exploration, environmental protection or agriculture, collection & analysis of such data is critical to continuous operation. Cost to comply with WH&S ‘two person policy’ for remote areas. Many remote areas monitored by mining and exploration companies are in rugged or hostile terrain too, such as desert Saudi Arabia, offshore Alaska or in the Russian tundra, which makes the physical collection of samples dangerous. In tropical areas like Papua New Guinea, Indonesia, or Venezuela, the wet season can turn swathes of the country into swamps making vehicular access difficult. Cyclones and floods add an extra degree of difficulty. In the Australian outback, heat stress is the major issue for staff. In all these areas, extreme conditions make reliable, timely sampling by manual methods almost impossible. It also doubles the cost, if two people are required to go to site every time for safety reasons. Wireless technology and electronics have advanced rapidly in recent decades, including compact monitoring devices that collect and transmit data via wireless networks. These have made remote monitoring and data acquisition a reality, and represent more affordable, practical solutions for collecting data in remote areas. Because of the variety of environments and parameters, most remote monitoring systems in use now were custom-made, either by external specialists or a company’s own engineers and equipped with specific sensors. As a result, large industrial sites tend to have a plethora of devices acquired over time for different purposes, creating a heavy maintenance and logistics burden. Limited ability to reuse monitoring devices for other projects. As a result, an expensive refit or replacement is usually necessary when the demands of remote monitoring change. 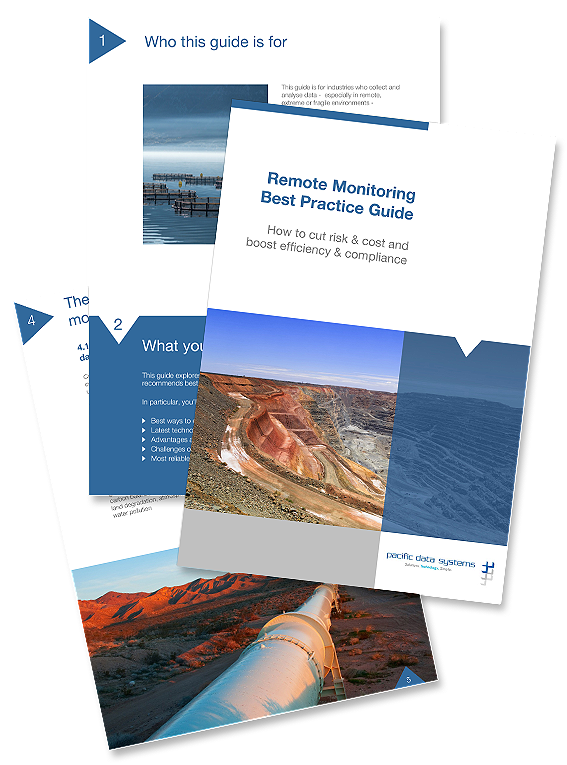 Excerpted from the “Remote Monitoring Best Practice Guide” by Pacific Data Systems, a leader in smart monitoring and control systems based in Brisbane, Australia. The company’s SatVue remote monitoring system combines a rugged, compact ORBCOMM device with smart monitoring technology and reliable satellite communications for environmental monitoring of remote sites. For more information, visit www.satvue.com.au.